We hope you will join us for the 8th Annual B&G Equipment and Supply Charity Golf Tournament and enjoy a great day of fellowship and fundraising. The tournament has raised over $80,000 over the past seven years, thanks to loyal sponsors like you. The tournament proceeds will go to the Breast Cancer Research Foundation this year to show our support for our team members and friends, Jill Rockett, who is currently fighting breast cancer, and Della King, a breast cancer survivor. This event always fills up quickly so reserve your spot now! REGISTER ONLINE HERE or contact Abby Wright at 205.423.7004 or moc.e1556128189irrog1556128189dleif1556128189sarb@1556128189thgir1556128189wba1556128189 for more information on registration and sponsorship opportunities. 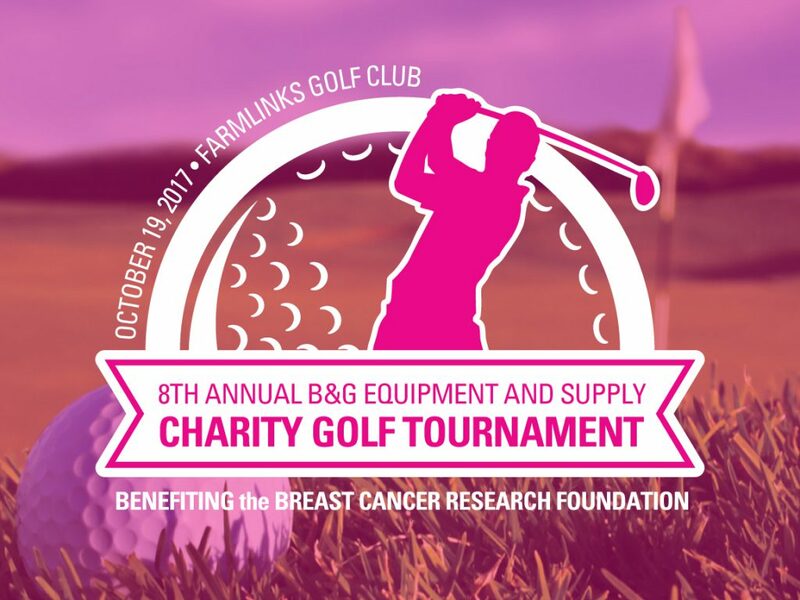 If you can’t make the event but would like to contribute to the cause, please help us reach our fundraising goal by making a tax-deductible donation directly to BCRF at give.bcrfcure.org/bgesgolftournament.